I have just been sent the following link by Jagged Globe and it makes for some concerning reading. 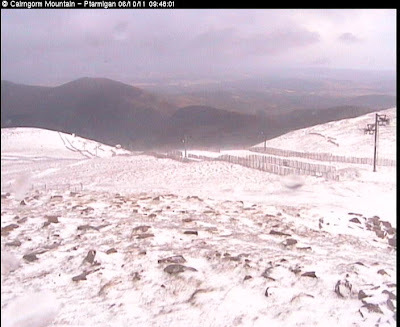 Feel free to add some comments on the Piste Hors website. Our new ABS rucksacks arrived a few days ago and Laura and I got around to testing them today, they come with a spare gas canister to have a practice with! I have been thinking about getting either an ABS rucksack or a SnowPulse one for a while and have taken the plunge, they are not cheep but the stats are very impressive. I decided to go with the ABS Vario system and have got a small 15L bag for day skiing and a 40L for hut to hutting, They also do a 25L that looks very good as well. If you are interested in them I got ours from www.snowsafe.co.uk and you can find out more info there or from the ABS website http://abs-airbag.com/home.php?chid=1&lang=uk&m=17 also feel free to drop me a line if you want to ask any questions. Now Laura and I are hoping for lots if powder when we go skiing at Christmas! We will soon be scratching!! 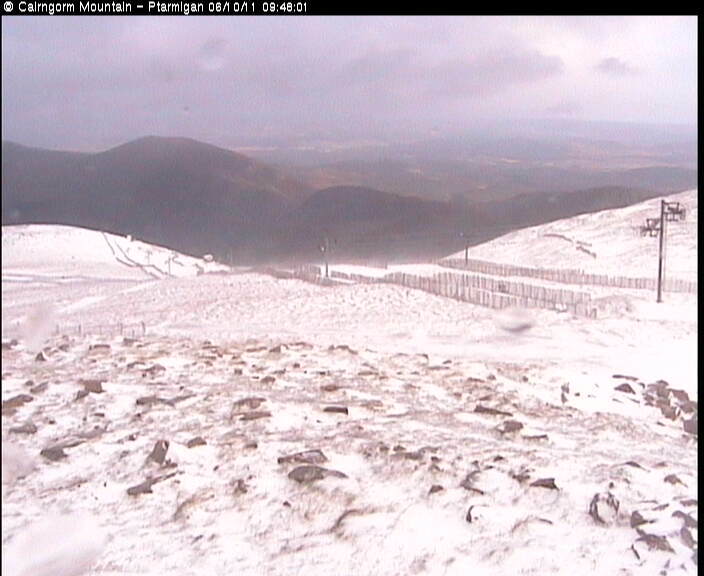 Looks like it will melt quickly but winter is certainly just around the corner! 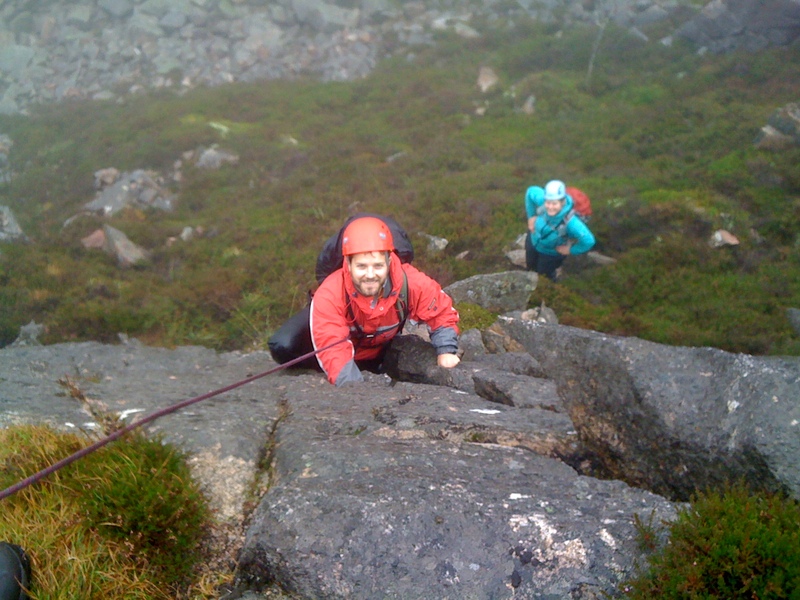 I have been at Glenmore Lodge this weekend running an Introduction to Scrambling course. On Saturday Rachel, David, Danny, Craig and myself headed into Coire an t Sneachda with the aim of looking at personal movement skills, risk assessment, route choice and protecting each other with out a rope. We also looked at some navigation on the way in as the visibility was poor and they were all keen to brush up on this as well. Half way into the the coire we headed up to the Twin Ribs area and picked a line up onto the ridge discussing various issues including what the various scrambling grades meant. We then headed along the ridge taking various detours off the ridge to find some more scrambling. Once on the pleatue we headed back around to 1141 and back to the van looking at some more navigation. A great day was had even if it was a little damp. On Sunday we headed to the Chalamain Gap with the aim of looking at some unplanned use of the rope.We spent the first half of the day looking at anchor selection and practicing ropework in the horizontal so we knew it was working before we took it to the vertical. We then spent the second half of the day testing out the ropework, abseiling and looking at different types of anchor and belaying methods. Although it was a dry (ish) day the rock was still wet and very slippery all adding to the challenge. A great weekend, thanks for your company team. I have a few days off before heading out to France for a weeks climbing with my good friends Luke and Anne so I am currently dreaming off shinny bolts, warm rock and good red wine, fingers crossed!